SAN FRANCISCO, March 15th, 2017 — Founded by a family, San Francisco-based Zephyr has been at the forefront of kitchen design and technology since the beginning by reinventing the ventilation category and challenging the definition of a traditional range hood. With members of the family still involved today, Zephyr marks its 20th anniversary and looks back at influential moments that have shaped the company and contributed to elevating the hood to its rightful place in the kitchen. 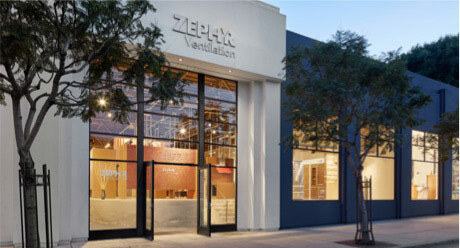 In 1997 Zephyr recognized the unmet demand for more powerful, professional-grade hoods in the home and launched its Power Series, which catapulted the young company into the ventilation industry. The collection featured advancements such as quiet efficiency, self-cleaning, and filter-free technologies that were never before available. 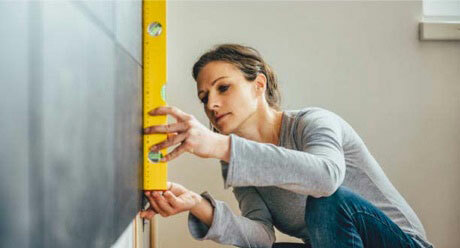 Zephyr later forayed into designer products with the introduction of its Europa Collection, which targeted a market hungry for new, design-centric hoods. The Italian-style products were likened to pieces of art over the range with sculpted glass, sleek stainless steel, and multiple color options that complemented modern kitchens. Design has continued to be at the forefront of the business throughout the years with exclusive partnerships with design guru, Fu-Tung Cheng and industrial designer, Robert Brunner. Through these partnerships, Zephyr has introduced signature collections that bring sleek, timeless and artistic design to the masses. “At Zephyr, we strive to transform the kitchen through design, discovery, and care,” says Luke Siow, Zephyr President. “Through our products, design partnerships, and innovative technology we hope to elevate the kitchen as a center for self-expression, family, and well-being. With its commitment to ever-evolving innovation and advancing ventilation technology, Zephyr launched its DCBL Suppression System®, the industry’s first range hood motor powered by direct current (DC) versus traditional AC powered hoods. This was an evolutionary step that delivered the most silent, energy efficient, and powerful range hoods available. Today, Zephyr launches its new Black Stainless Steel hoods with titanium coating that give homeowners and designers an alternative to standard stainless steel. Zephyr’s Black Stainless hoods are bold, powerful, and made with an aerospace-grade level of protection that ensures each hood will stand up to the harshest cooking conditions. Every Zephyr model is on display for consumers and trade to preview first hand in its 7,000 square foot showroom. Located in the heart of San Francisco’s Design District, the space is North America’s largest ventilation-only showroom and features designs by Fu-Tung Cheng and a live working kitchen. 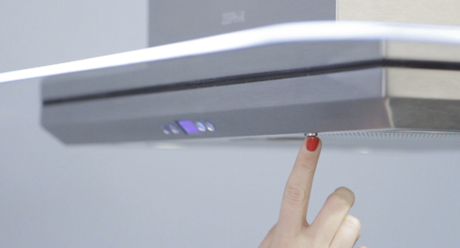 Looking toward the future, Zephyr is committed to pushing the envelope with new range hood innovation and connecting the kitchen with new products that are sure to shake up the industry. 2017 – Zephyr launches industry first Black Stainless Steel hoods with titanium coating and expands direct-to-dealer distribution by offering premium Italian cooking products.